Burleson Consulting is the leader in Oracle Financials functional training, covering all areas of training for the Oracle eBusiness suite. BC does customized Oracle Financials training customized according to your business requirements, using Oracle Financials instructors with extensive real-world experience in Oracle Applications functional training. 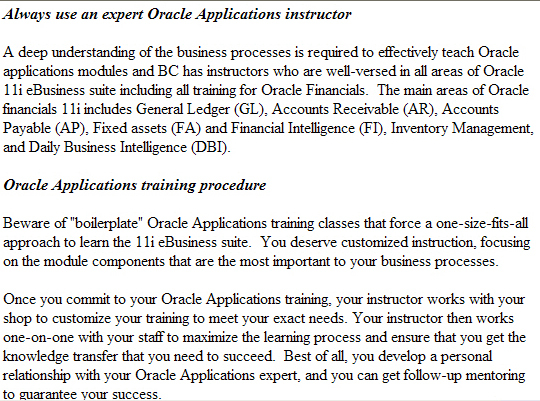 Don't trust your important Oracle Financials training to a beginner. 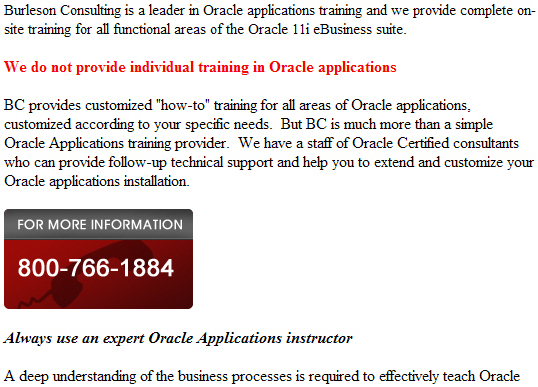 Hire BC for expert Oracle Financials training classes.